SAUDI ARABIA’S ATTORNEY general sought the death penalty for five of 11 defendants charged with the murder of journalist Jamal Khashoggi as their high-profile trial opened in Riyadh today. 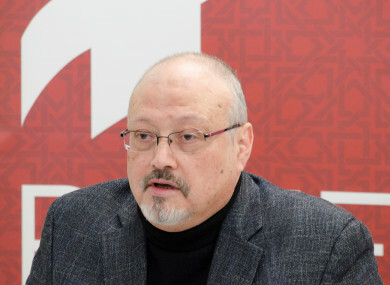 Saudi Arabia had twice submitted formal requests for evidence from Turkey – where Khashoggi was murdered inside the kingdom’s Istanbul consulate on 2 October – but had received no response, the statement added. The defence team today requested a copy of the charge sheet and a timeframe within which to review the charges. Saudi officials said in November that Qahtani – who has not spoken publicly since then – had been banned from travel pending the investigation but authorities have refused to disclose his whereabouts. Email “Saudi prosecutor seeks death sentences as Khashoggi murder trial opens”. Feedback on “Saudi prosecutor seeks death sentences as Khashoggi murder trial opens”.